Chartered in September 2003, Troop 474 is a very active, organized troop of about 35 scouts and over 10 adult leaders located in St. Johns, FL as a part of the Riverbend District of the North Florida Council. All of our adult leaders trained for their positions through the BSA, and many of them have completed additional training. Our troop has a BSA-certified lifeguards (which are required for any water activities) and most all leaders have CPR/AED training. We also boast leaders trained in Leave No Trace, Climb On Safely, Shotgun/Rifle, Weather Hazards, Safety Afloat, Safe Swim Defense and Paddle Craft Safety as well as many Merit Badge counselors. We have also advanced over 30 Scouts to the rank of Eagle since our founding in September 2003, and more than 5 within the past year. Our philosophy is balance: for those who want to get their Eagle, we provide many opportunities such as monthly campouts, service projects and merit badge classes as well as a dedicated Eagle Scout Coordinator. We also are happy to have those Scouts who just want to be a Scout and have a great camping experience. For older Scouts, we offer Venture Crew 474. Founded in October 2007, the Crew is a high adventure program for boys and girls aged 14 to 21. 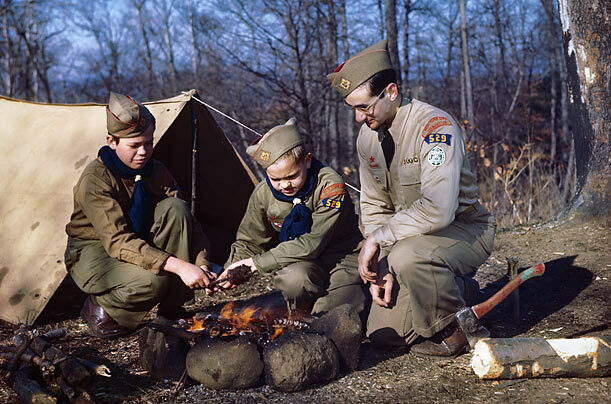 A nice synopsis of facts surounding the Boy Scouts of America. "All about me are boys. They are the makers of history, the builders of tomorrow. If I can have some part in guiding them up the trails of Scouting, on to the high road of noble character and constructive citizenship, I may prove to be the most important man in their lives, the most important man in my community.